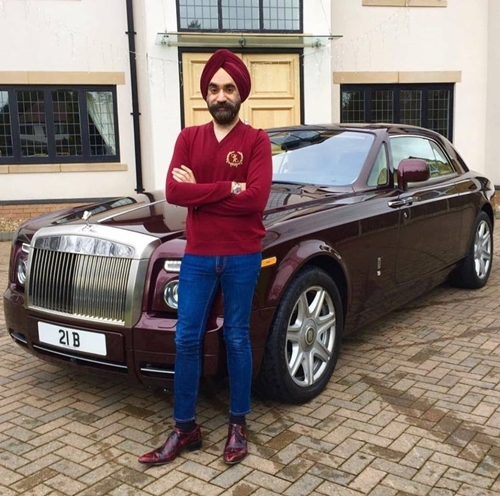 A Facebook user identified as Varinder Ghuman, has taken to the social networking platform to share several pictures of a London-based millionaire, Sardar Reuben Singh who matches his turban and sometimes his jacket with the colour of his Rolls Royce each time he steps out every day of the week. 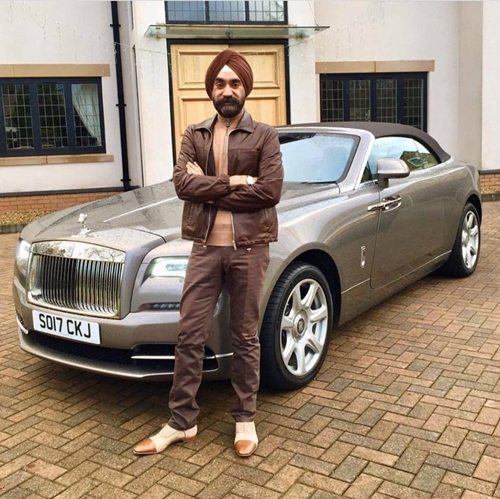 “He is Sardar Reuben Singh from London. 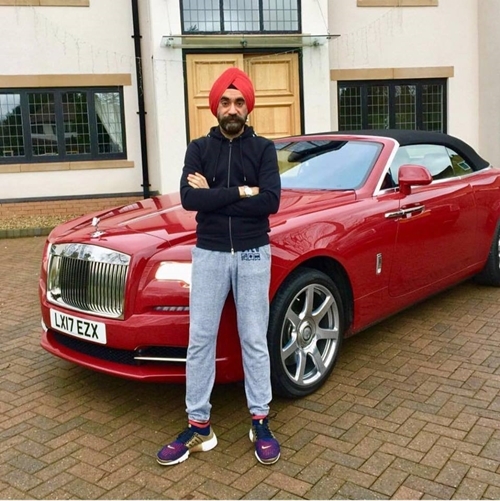 He was challenged by a English guy who was joking about his turban and challenged him that All 7 Days of the Week he will match his turban with his Rolls Royce color and all rolls will have to be owned by him only,” he wrote on his Facebook post. 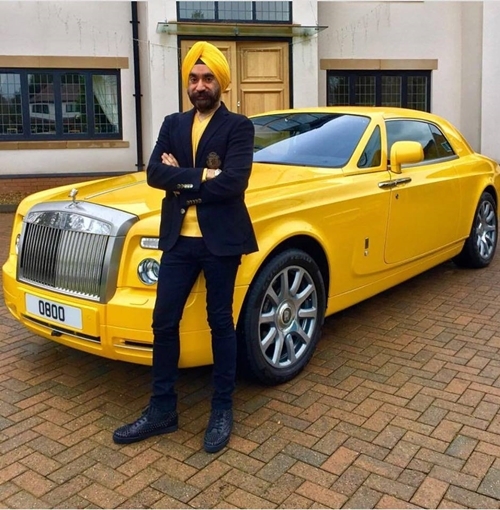 It is gathered that the millionaire began making money at an early age, as his business boomed so well until 2007, when he became bankrupt. 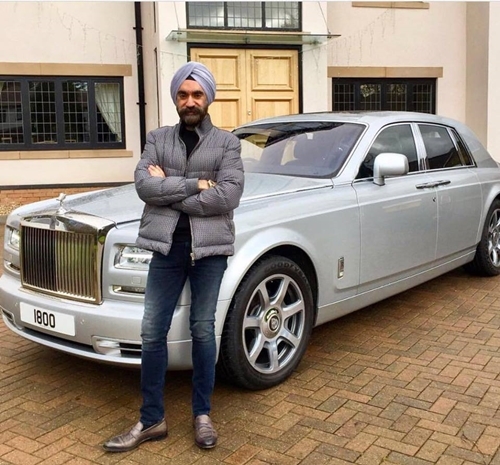 Singh was able to pick himself up after a while and now owns fleets of Rolls Royce in his garage. 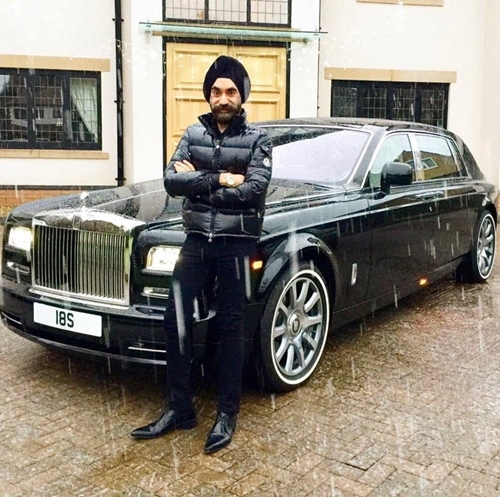 Popularly known as the ‘British Bill Gates’ for his young endeavours as an entrepreneur, Singh accumulated huge wealth with his own ventures and never asked for a share in his father’s already established business. 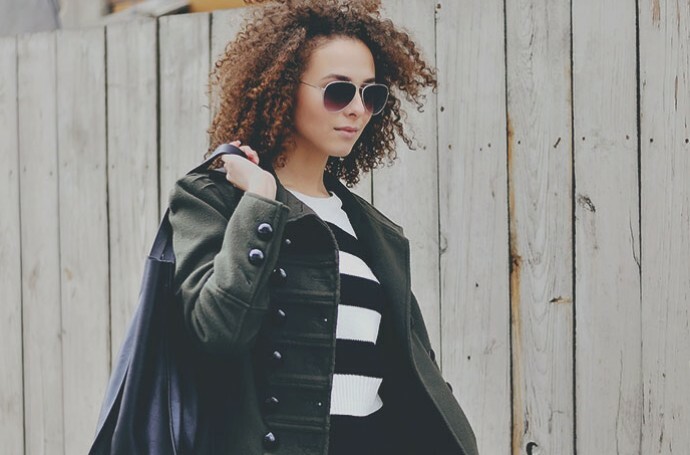 He founded a fashion chain ‘Miss Attitude’ which became widely popular in the 90s Britain. 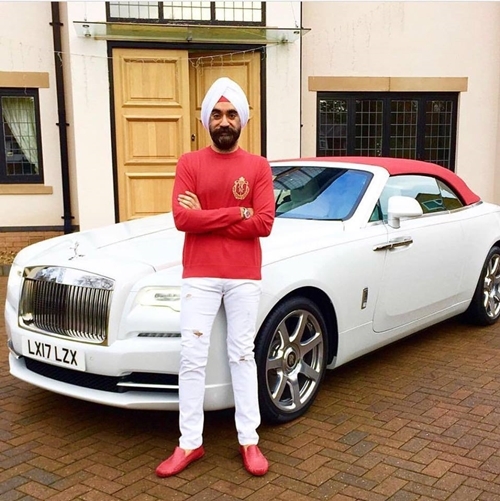 It was added that Singh started out by working over 20 hours in his first ‘Miss Attitude’ store at the age of 17.